Two weeks after Becky Harris was named as the first woman to lead the Nevada Gaming Control Board in the state agency’s 63-year history, the #MeToo movement engulfed the Las Vegas casino industry. In January, a Wall Street Journal article was published describing years of sexual harassment charges against Wynn Resorts Chairman and CEO Steve Wynn. The article detailed a lengthy investigation into Wynn’s aberrant behavior over the preceding several decades, as he built Wynn Resorts into a casino empire worth billions. Wynn was erased from the company and the industry 10 days later. Gaming Control Board Chairwoman Becky Harris listens to testimony. As the new control board chairwoman, Harris, an attorney and former Nevada state senator, believed a message needed to be sent. She pushed for changes to state regulations governing the conduct of gaming companies to include language concerning sexual harassment awareness and prevention. 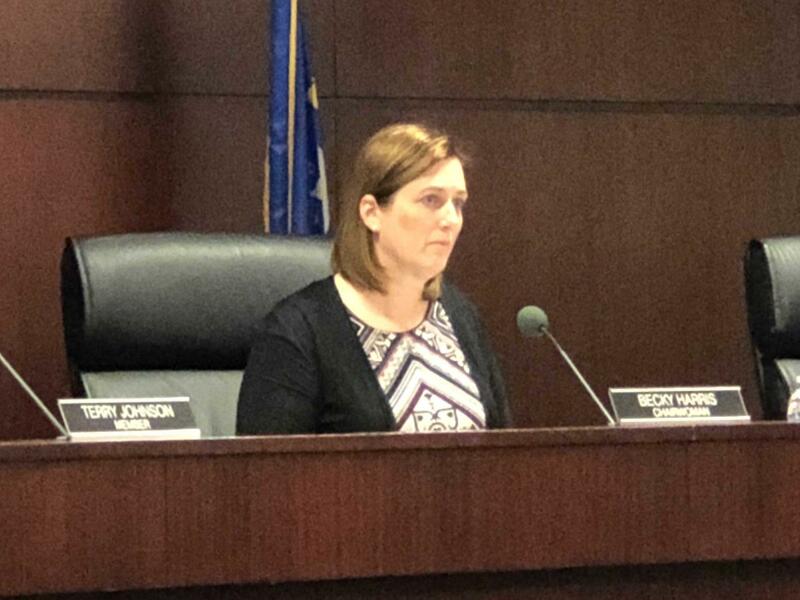 Last week, the three-member board unanimously sent the proposed changes to the Nevada Gaming Commission for final approval. During previous control board workshops to discuss the revisions, attendance was sparse. Representatives from several casino operators testified the regulatory changes weren’t required, since gaming companies must already comply with guidelines overseen by the U.S. Equal Employment Opportunity Commission and the Nevada Equal Rights Commission. But Harris, who served during two Nevada Legislative sessions, ultimately showed her political chops. At last week’s final workshop, high-profile support arrived in force. Longtime Nevada gaming figure Patricia Becker, the only woman to serve on the control board prior to Harris, testified in favor of the changes, as did Caesars Entertainment Senior Vice President Jan Jones Blackhurst – the first woman to serve as Mayor of Las Vegas. Becker said the changes would allow Nevada’s casino industry to gain control of the #MeToo narrative. She likened the effort to the casino industry’s forming and funding the National Center for Responsible Gaming to address compulsive gambling issues. “It’s time to act, lead the way, and set a positive statement,” Becker said. Jones Blackhurst testified that Caesars was supportive of the language, and representatives from Wynn Resorts, manufacturing giant International Game Technology, and several activist groups also backed the changes. Harris read into the hearing’s record letters of support for changing the regulation from UNLV Boyd School of Law Professor Ann McGinley, gaming attorney A.G Burnett – her predecessor as control board chairman – and Governor Brian Sandoval, who appointed her as chairwoman. Harris said she didn’t speak with the governor prior to the hearing and was surprised when the letter arrived. Sandoval, a former Nevada Gaming Commission chairman, arrived at the hearing in time for the vote. He sat with his wife, Lauralyn McCarthy Sandoval, a vice president at Aristocrat Technologies who is also on the board of the Global Gaming Woman advocacy organization. The changes to Regulation 5 were sent to the commission along with a proposed sexual harassment awareness and prevention standards checklist to be completed by all Nevada gaming license holders. It might be awhile before the commission acts. Chairman Tony Alamo Jr. said the commission will wait until the control board’s investigation of Wynn Resorts over the harassment allegations leveled against Steve Wynn is completed before taking up the changes. Alamo wants to see if the agency takes any action against the company. Massachusetts gaming authorities are handling a similar investigation. The company plans to open a $2.5 billion resort near Boston next year. The control board’s final report on Wynn will most likely be kept private, as has been the case with other Nevada investigations. It’s unclear if Massachusetts will keep its investigation private or release its findings. Steve Wynn has sued Nevada and Massachusetts regulators and the company in an effort to keep the investigation private. “It may be more prudent and better for this commission to address that question when we have all the facts in front of us,” Alamo said regarding the five-person panel that would take up the sexual harassment regulation changes. Harris has a different point of view.